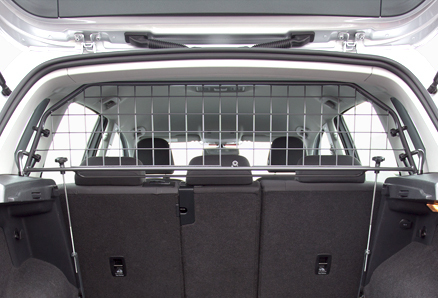 Now, there are lots of dog guards on the market, including very many of the cheaper 'one size fits all' type of cargo barrier. However, if you're looking for the best fit possible, and something that's going to last for ages, it's best to go for one that's been designed using the exact specifications of the make and model you drive. 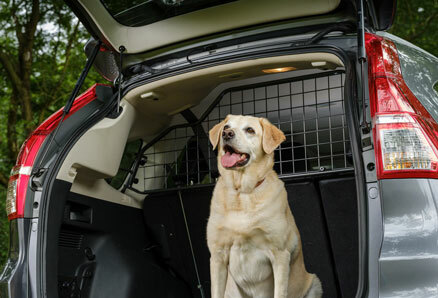 As they are vehicle-specific, Travall Dog Guards can be installed in minutes, with only basic tools. They are just as easy to remove when not required on a journey and, unlike some other barriers, they require no unsightly modification to the interior of your car. 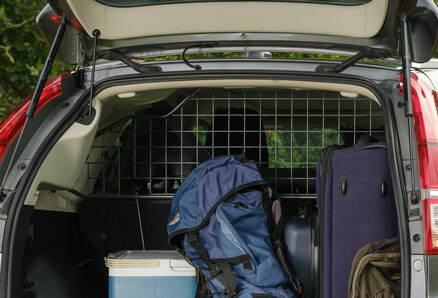 Even if you don't own a pet, a Travall Dog Guard can help maximise load space and, even more importantly, play a vital role in road safety; protecting you and your passengers from the harm that unsecured cargo can cause in the event of a collision - especially when you consider the fact that hundreds of people each year are seriously injured by the things we all carry in our cars on a regular basis. 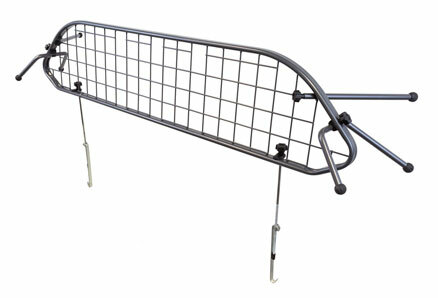 Our Dog Guards are constructed from high-grade mild steel with an attractive oval profile for added strength. Components are laser-cut and precision welded, then finished with a unique nylon powder coating which makes them extremely resilient and scratch resistant. We're so certain of the quality of our premium Dog Guards that they all come with a Lifetime Warranty against manufacturing defects. In fact, the quality standards of our guards often exceed that of similar products supplied by the motor manufacturers themselves.